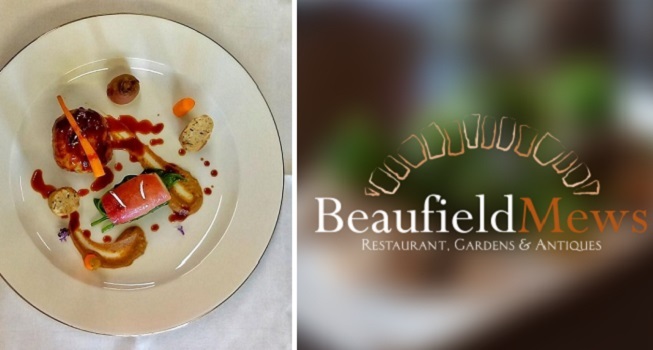 Beaufield Mews is Dublin’s oldest and most established family run restaurant nestled in Woodlands Avenue in Stillorgan. Opening in 1948, Beaufield Mews was one of the only stand alone restaurants, serving evening meals to guests who travelled from far afield to sample their fine cuisine. The restaurant has been in the same family for 70 years, passing through the hands of three generations of women, overseeing different food & dining trends, economic crisis’ & growing competition. However, they have always kept, at the core of Beaufield Mews, it’s devotion to its customers, delivering fresh, interesting food at reasonable prices. Upon arrival through the Courtyard arches, guided by olive & bay trees and lit by the glow of the festoon lights, you will arrive to the lovingly restored 19th century Coachhouse & Loft Brasserie restaurants which still houses some of the original artefacts. The Loft Brasserie, situated on the first floor at Beaufield Mews, is set under wooden beams and old stone walls with an open fire and glass chandeliers. Some of our long serving customers will remember this space the antique shop but is now our beautifully decorated dinner restaurant. TheTaste.ie and Beaufield Mews are giving readers the chance to experience a 3-course dinner for two with a cocktail each for only €60.